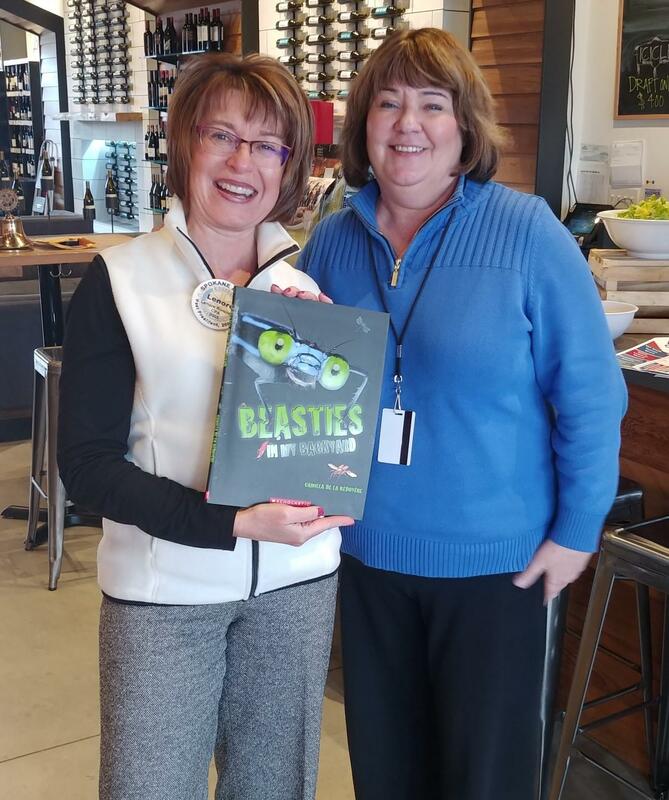 Feb. 11: Rotary Connects: Gathering starts at 4:30 p.m. at Maryhill Winery Spokane Tasting Room, in Kendall Yards (just east of Nectar’s). Feb. 18: Presidents’ Day Holiday. No meeting. Feb. 23: "Dirty Hands" project for Family Promise of Spokane at former Cassano Grocery building at 2002 E. Mission from 9 to Noon – Please email Lenore if you can attend. Feb. 25: Lunch meeting at Nectar in Kendall Yards with Kate Reed and Brooke Matson of Spark Central; a tour of the facility (across the street from Nectar) will follow lunch. Karen Stratton from Spokane City Council visited the club and discussed several issues facing the city and gave updates. She is the representative from the West Central area of Spokane and focused on working closely with the community. The first issue discussed was the Public Safety Levy. This levy was born from multiple neighborhood meetings that revealed that crime is the biggest issue facing residents in the area. provide for more police officers, investigators, district attorney staff and detectives. The city council. the mayor and other agencies are looking to find long term funding solutions to increase the safety for our city. The situation for the homeless in Spokane was also discussed. Currently the city has beds for 275 and has extended hours due to the cold in 2 of the shelters. Karen discussed how the "sit and lie" law allows homeless to not be arrested for being in any one area for too long if there is no space in shelters for them. However, with enough space now available, we are seeing an increase of arrests in the city. Karen covered issues with Landlord and Tenants and the efforts being made to ensure that no landlords discriminate against applicants using vouchers for housing. This is a work in progress. Low cost housing is an issue in the city and the council is working to find ways to promote cottage housing in areas, which allows smaller multi-homes on individual plots of land. This may help with low income and senior housing issues. There are multiple residential growth paving projects being planned for the city in 2019. The northwest part of Spokane will not see much of this as the allocated money was spent on an earlier project that was in dire need. To combat the drug crisis in Spokane, social workers will be with some police car patrols to deal with responding to drug related crimes. Finally, Karen also discussed how the city is working with the native tribes in the area to combine resources to deal with homeless and drug issues in Spokane. A focus is also to make sure that those who qualify for tribal resources, know about the help available and how to obtain it.